NFC was something that Apple left out of the iPhone 5. It has been in Android devices for more than a year now but the technology had never garnered enough mass consumer traction to take off. 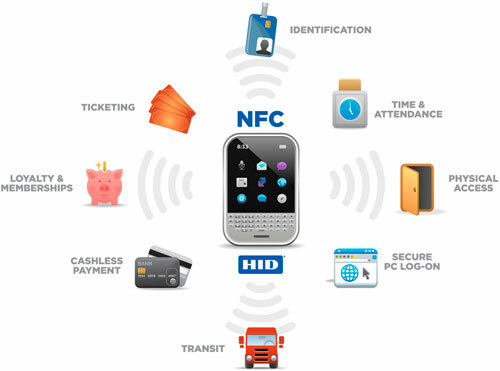 NFC builds upon RFID systems by allowing two-way communication, and is currently being used in contactless payment systems, similar to those currently used in credit cards and electronic ticket smartcards, and allow mobile payment to replace or supplement these systems. Sometimes technology does require the magical Apple marketing touch to pull in the crowds. Just look at voice control. Since the old Microsoft WM 6.0 days and Vliingo on Android, voice control on these platforms had already allowed you to look up your address book to call someone or send a message. Yet, they had never garnered market attention. The arrival of Siri revolutionized the entire landscape with its ease of use and easily understood features. From a business perspective, the marketing aspect is really where Apple is strong at, while Google is often perceived as just too geeky. Competition is always healthy, and thanks to Siri, we now have Google Now. So while NFC had not been adopted by Apple yet, it has become quite a common feature for Android phones. I picked mine up from AliExpress.com (search for NFC tags) – for the price of about $8 to $10 for 10 tags. Bedtime/Night NFC toggle – Although you could set the phone to switch to silent mode with specific timers, this might not work so well for those with dynamic lifestyles. You could use a NFC tag at your bedside table with a switch function so that each tap would toggle between silent and notifications enabled. Return to Home NFC tag – Turn on WIFI when you reach your home doorstep and remotely power on your computer (WOL Packet). (Plus send a foursquare / facebook / twitter check-in if you are that deep into the social ecosystem). Bluetooth Speaker Music Player NFC tag – Place a tag near a bluetooth speaker dock to turn on bluetooth on your phone and start a random playlist. There are a couple of NFC tag programmers such as AnyTag or NFC Task Launche to program the NFC tiles. NFC Task Launcher writes the details into the tag so that it would work across all NFC phones. However, complexity and size of the program is constrained. NFC Task Launcher allows for the toggle facility to be used, i.e. tap once to mute your phone, tap again to set the volume back. On the other hand, AnyTAG just writes the ID to your NFC tag. This tag is used as a trigger and an application on your phone would be activated to do the task. Hence, this is better for some of the more complex tasks.